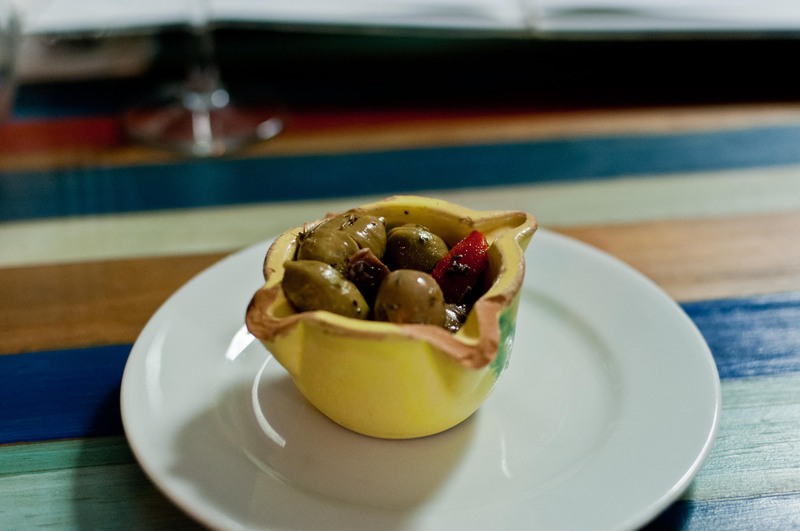 We had completely overestimated our appetite for Spanish tapas while in Barcelona. 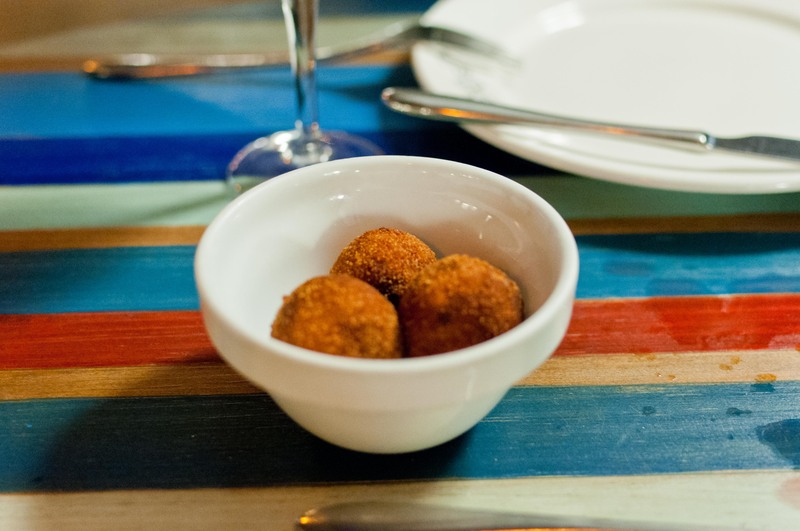 It hit us like a wall after so many plates of tapas and our stomachs had started to cry out for a change. Luckily, we found two spots that answered to our cries. The first one was just up the beach from our hotel. 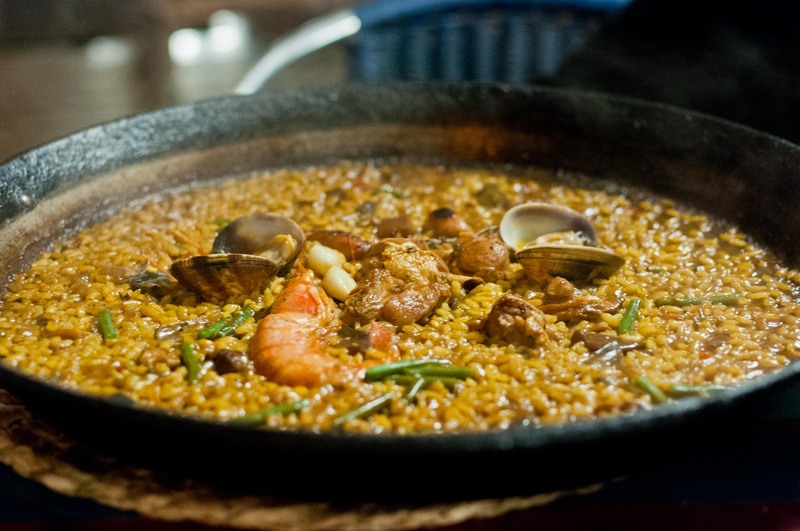 Xiringuito Escriba is a beach side restaurant along the waters, serving up delicious paellas. Olives and tomato bread. 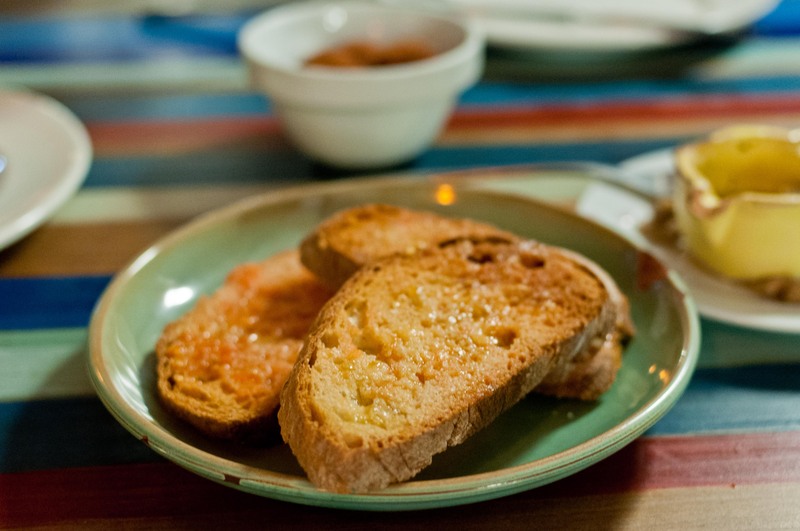 It was fruitless to try to avoid the tomato bread so we had come to fully embrace and expect it with every meal. Even beginning to judge the quality from restaurant to restaurant. 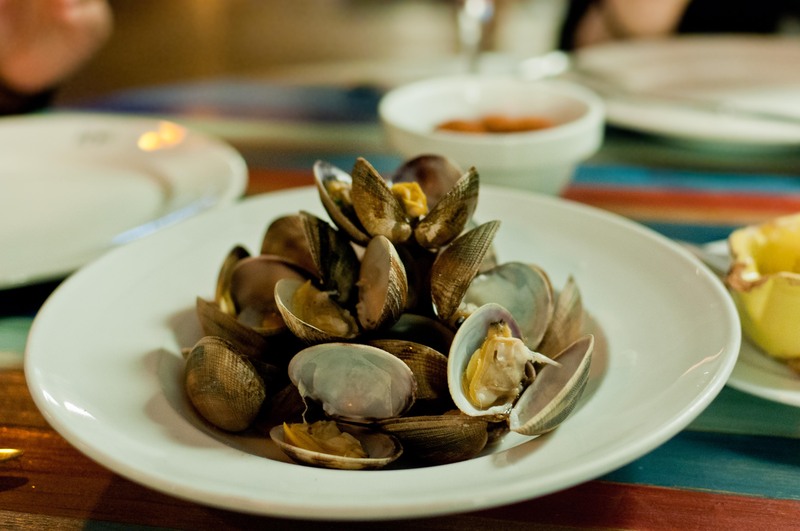 A platter of steamed clams and three croquettes to prepare us for the paellas that are cooking. We each ordered our own portion of the paella, a mix of land and sea for LZ, the squid ink for MP and the squid ink fideua for me. Even though the cast iron pans were rather shallow, the portions were still quite generous. 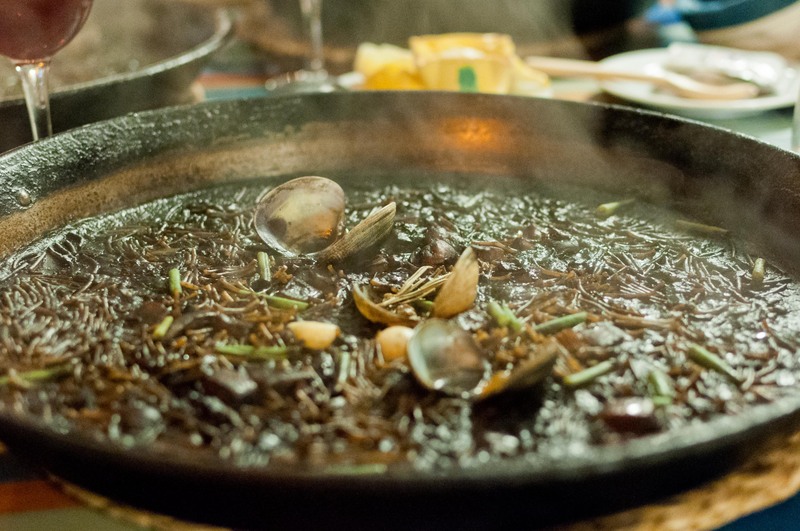 The squid ink fideua was just what I was craving. Little broken pieces of noodles were crispy around the edges and tender in others and the pan was filled with buried seafood. For dessert, our waitress brought over a platter of that day’s selection from Escriba, the pastry shop associated with the paella restaurant. 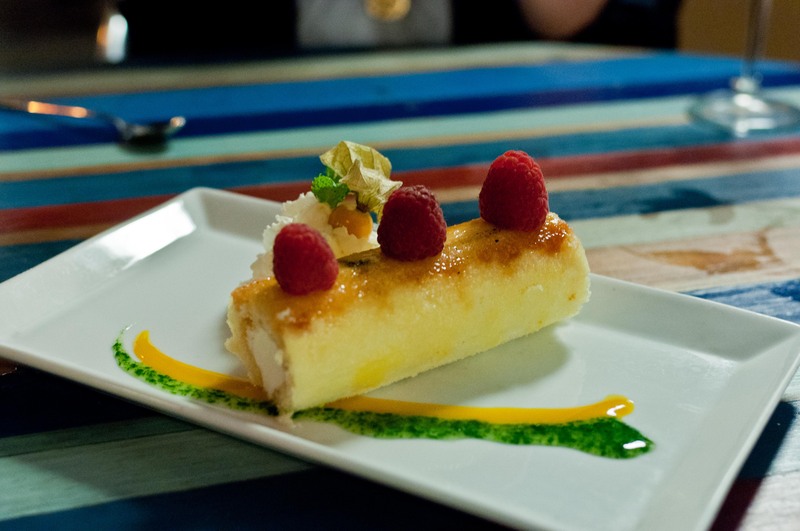 The sponge cake with a creamy center and mango and mint puree was just right after a filling meal. 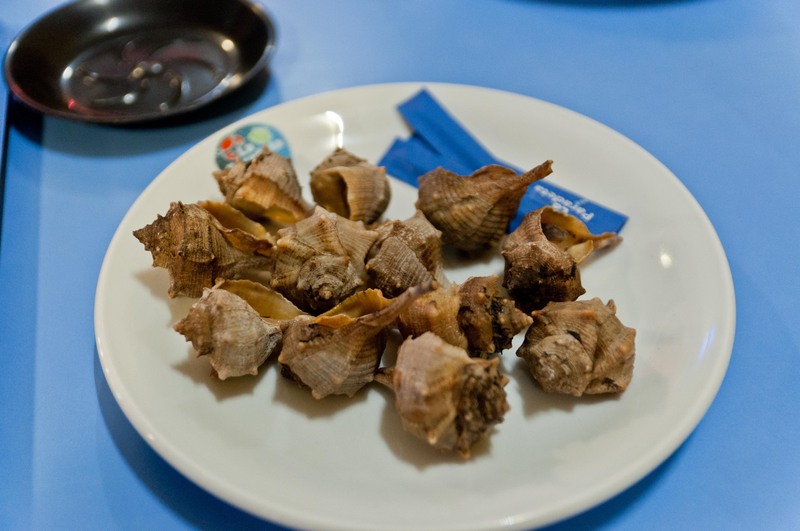 Our second choice for non-traditional-tapas restaurant in Barcelona was La Paradeta, a self-service seafood restaurant with several locations throughout the city. We came upon the location near La Sagrada Familia for a late lunch before exploring the famous landmark. The restaurant was boisterous and loud, a little intimidating for non Spanish/Catalan speakers, especially when it came to ordering. 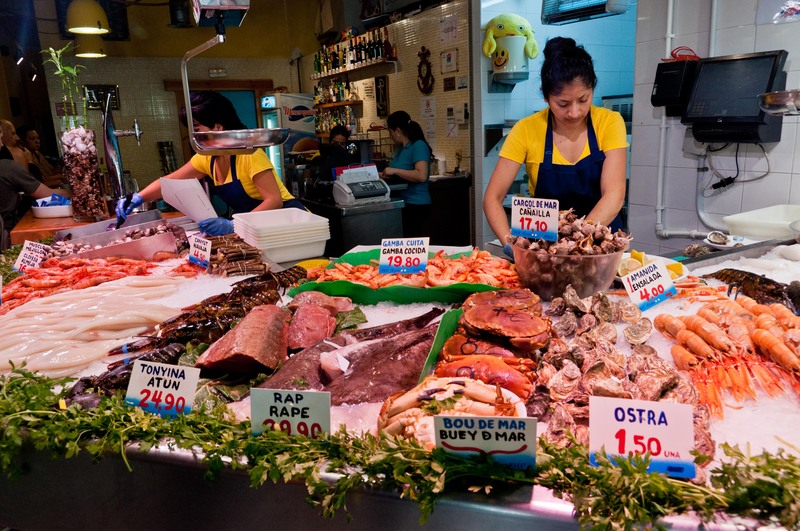 We were faced with a counter full of fresh seafood, almost too many choices for us to process in a short amount of time. Between nodding and pointing and half guessing, we chose our lunch and selected how we would like each to be prepared, a la plancha or Andalusia (fried). The check out counter was where we picked up a few sauces as well as a simple garden salad and some rolls. With our ticket number in hand, the three of us went to find a seat to wait for our food. My plate of steamed conchs came out first. Using a toothpick, I painstakingly pulled out a nibble here and a bite there from the pretty shells. Not my favorite plate of the day. 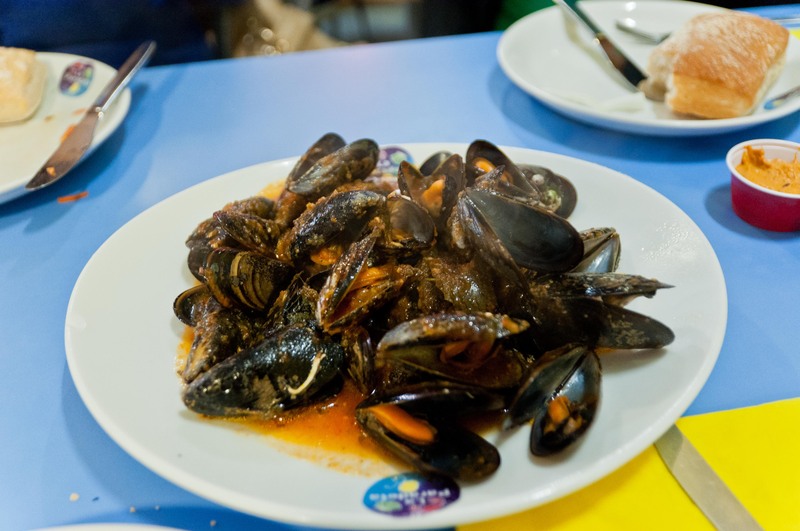 A plate piled high with mussels in a marinara sauce came next (mussels were one of the few options where you can choose the marinara sauce). This was definitely the consensus winner. The mussels were plump and the sauce was just perfectly seasoned. 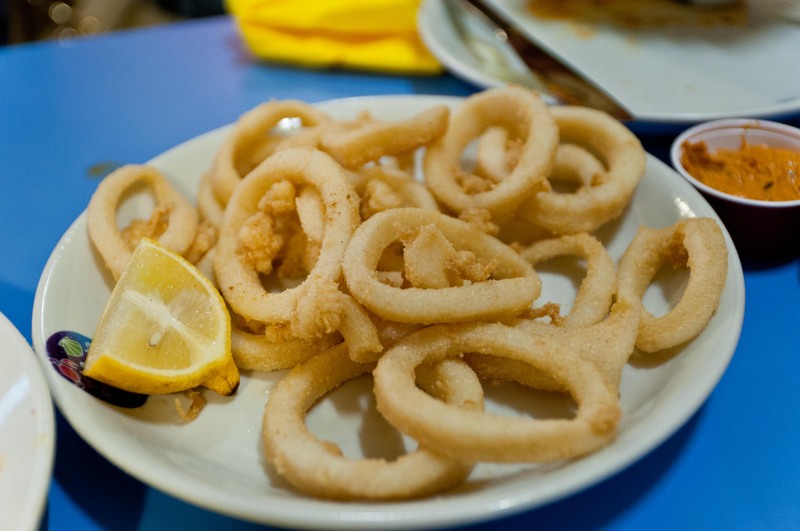 Golden rings of freshly fried calamari came next. The batter was just a light dusting, making it too easy to eat a whole plate by yourself. And finally, a plate of grilled prawns and langostines in a chimichurri like sauce. 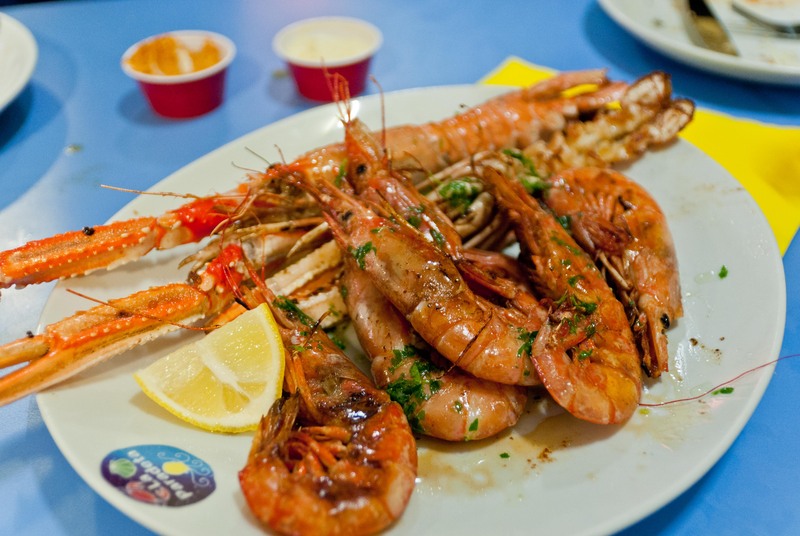 The sweetness of the prawns and the langostines shined with the simple preparation and they were all cooked perfectly tender. No desserts here at La Paradeta, we have a world famous site to see just a block away!